If you access any aspect of the Service through a third party social networking site such as Facebook, you allow us to access and import information from your profile for that SNS which may affect the privacy settings you establish on the social networking site. You can find out more about these settings at the social networking site. By using the Service through a social networking site, you are authorizing us to collect, store and use any information that the social networking site provides to us through the social networking site’s interface with the Breeders’ Cup. You agree to this when you “accept or “allow” one of our applications on the social networking site. If you use the Service on a mobile device or through a mobile application or sign up for SMS notifications or push notifications (where available), we may receive your mobile device identifier and/or IP address, the name you have associated with your device, device type, telephone number, country and geolocation. Most mobile devices allow you to adjust location-based services and other information provided by your device. To process and maintain your e-membership application or other registration. To fulfill orders where you purchase products or services. To administer programs, promotions, contests or sweepstakes in which you participate. We may send you email or SMS notifications of new features and other Breeders’ Cup news, but will do so only in instances where you have elected to receive such information. You may opt out of such communications at any time by contacting help@breederscup.com. You may not opt out of communications that are important to your interactions with our Service, such as changes to our terms, conditions and policies or legal notices. The Breeders’ Cup, its affiliates, service providers and advertisers sometimes uses “cookies” (text files placed by a web site’s server on a visitor’s computer hard drive) or other technologies such as “web beacons” and “pixel tags.” These technologies are used to recall personally identifiable information to enhance your experience and personalize the Service for you based on your preferences and selections; and to track visitor traffic patterns and other information for marketing and business purposes. You can set your web browser to disable or delete cookie data, but by doing so, you may be preventing yourself from taking advantage of the convenience this technology offers. California Civil Code Section 1798.83 permits customers of the Service who are California residents to request certain information regarding our disclosure of personal information to third parties for their direct marketing purposes. To make such a request, please send an email to breederscupsupport@winnercomm.com. THE SERVICE IS PROVIDED “AS IS.” TO THE FULLEST EXTENT PERMITTED BY LAW, THE BREEDERS’ CUP DISCLAIMS ALL WARRANTIES, EXPRESS OR IMPLIED, IN CONNECTION WITH THE SERVICE AND THE USE THEREOF, INCLUDING WITHOUT LIMITATION IMPLIED WARRANTIES OF MERCHANTABILITY, FITNESS FOR A PARTICULAR PURPOSE, TITLE AND NON-INFRINGEMENT. WE MAKE NO WARRANTIES OR REPRESENTATIONS ABOUT THE ACCURACY OR COMPLETENESS OF THE SERVICE CONTENT OR THE CONTENT OF ANY WEBSITES LINKED TO THE SERVICE AND ASSUME NO RESPONSIBILITY FOR ANY (I) ERRORS, MISTAKES, OR INACCURACIES OF CONTENT, (II) PERSONAL INJURY OR PROPERTY DAMAGE, OF ANY NATURE WHATSOEVER, RESULTING FROM ACCESS TO AND USE OF THE SERVICE, (III) ANY INTERRUPTION OR CESSATION OF TRANSMISSION TO OR FROM THE SERVICE, (IV) ANY BUGS, VIRUSES, TROJAN HORSES OR THE LIKE WHICH MAY BE TRANSMITTED TO OR THROUGH THE SERVICE BY ANY THIRD PARTY, AND/OR (V) ANY OTHER LOSS OR DAMAGE OF ANY KIND INCURRED AS A RESULT OF THE USE OF ANY CONTENT POSTED, EMAILED, TRANSMITTED OR OTHERWISE MADE AVAILABLE VIA THE SERVICE. YOU UNDERSTAND THAT YOU USE THE SERVICE AT YOUR OWN RISK. IN NO EVENT SHALL THE BREEDERS’ CUP, ITS AFFILIATES EMPLOYEES, DIRECTORS, OFFICERS, EQUITY OWNERS OR AGENTS BE LIABLE FOR ANY DAMAGES WHATSOEVER (INCLUDING, WITHOUT LIMITATION, LOST PROFITS, DIRECT, INDIRECT, INCIDENTAL, SPECIAL, PUNITIVE OR CONSEQUENTIAL DAMAGES) RESULTING FROM USE OF THE SERVICE, INCLUDING WITHOUT LIMITATION ANY (I) ERRORS, MISTAKES OR INACCURACIES OF CONTENT, (II) PERSONAL INJURY OR PROPERTY DAMAGE, OF ANY NATURE WHATSOEVER, RESULTING FROM ANY VISITOR’S ACCESS TO AND USE OF THE SERVICE, (III) ANY INTERRUPTION OR CESSATION OF TRANSMISSION TO OR FROM THE SERVICE, (IV) ANY BUGS, VIRUSES, TROJAN HORSES OR THE LIKE, WHICH MAY BE TRANSMITTED TO OR THROUGH THE SERVICE BY ANY THIRD PARTY, AND/OR (V) ANY ERRORS OR OMISSIONS IN ANY CONTENT OR FOR ANY LOSS OR DAMAGE OF ANY KIND INCURRED AS A RESULT OF THE USE OF ANY CONTENT POSTED, EMAILED, TRANSMITTED OR OTHERWISE MADE AVAILABLE VIA THE SERVICE, WHETHER BASED ON WARRANTY, CONTRACT, TORT OR ANY OTHER LEGAL THEORY. THE FOREGOING LIMITATION OF LIABILITY SHALL APPLY TO THE FULLEST EXTENT PERMITTED BY LAW IN THE APPLICABLE JURISDICTION. IF ANY PART OF THIS LIMITATION OF LIABILITY IS INVALID, ILLEGAL OR UNENFORCEABLE, THEN THE AGGREGATE LIABILITY OF THE BREEDERS’ CUP AND OUR AFFILIATES UNDER SUCH CIRCUMSTANCES TO YOU OR TO ANYONE ELSE WILL NOT EXCEED ONE HUNDRED DOLLARS. SOME OF THE ABOVE DISCLAIMERS AND LIMITATIONS MAY NOT APPLY TO YOU IF THEY ARE NOT PERMITTED BY THE LAWS OF YOUR JURISDICTION. NO PURCHASE NECESSARY. Fan Program is open only to legal U.S. residents residing in the 50 U.S. & D.C., and residents of Canada (excluding Quebec) who are at least 18 years of age and the age of majority in their state/province of residence and are members of the Breeders’ Cup Racing with the Stars VIP Fan Program. The Sweepstakes take place from June 5, 2017 at 12:00:01 a.m. ET to October 9, 2017 at 11:59:59 p.m. ET. Go to www.BreedersCupVIP.com to join and for full details. Void in Quebec and where prohibited. 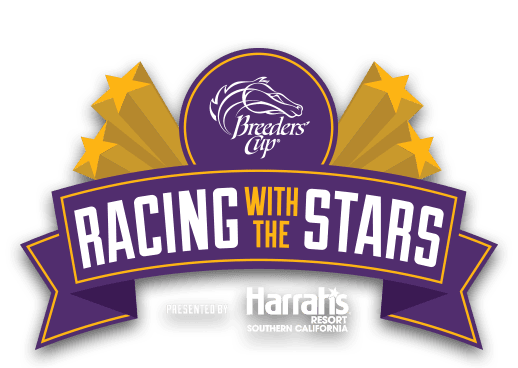 Sponsor: Breeders’ Cup Limited.